Here it is – the list of which classes will perform in which show! Please NOTE that there are THREE shows this year, not four like last year. This is because more teachers than in the past have decided to combine classes, thus making fewer total performances. Each show should last about an hour and 15 minutes. · Parents and grandparents are invited! Parking for the show is included in your tuition – no need to use the parking meters at PCC. · Students who do not normally attend school on Fridays are still encouraged to perform with their class. · See the performance list “by show” below and then an alphabetical list of all classes in case that’s easier. 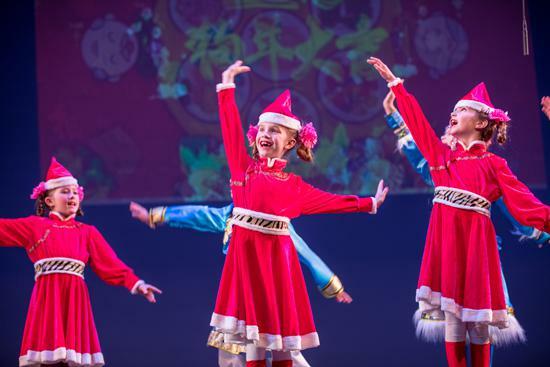 · We had many factors to consider – for multi-family children, we apologize if your children are performing in different shows! It is not possible to make the shows closer together due to fire regulations. · Students will all sit with their classes during the show. The classes are NOT listed in performance order. We do not know performance order yet and generally cannot publish that in advance due to last minute changes. 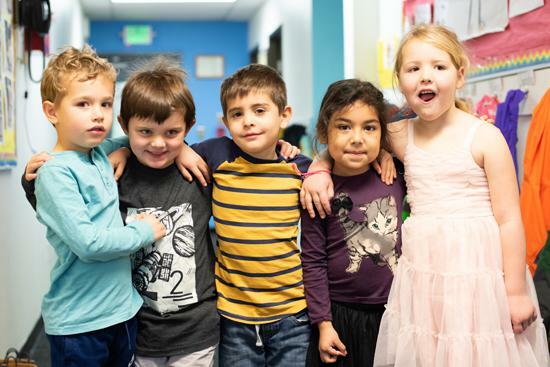 · PreK and LowK families are responsible for transporting or arranging their own carpools to bring students to the theater and then back to school or home after the show. · Christy, YiFeng, Patricia, Celina, and Libni’s classes are also responsible for transporting or arranging their own carpools to bring students to the theater. Remember that someone from the other class may be able to help. There will be be school buses to bring these students back to school. · There will be school buses to bring all students performing in this show to and from the theater. · There will be school buses to bring all students performing in this show TO the theater. Parents will be responsible for picking up their child or arranging their own carpools FROM the theater after the show. Remember that someone from one of the other classes may be able to help. You should have recently gotten an email Maria or Bodo that asked for your participation in a short, 2-question survey. The survey will take no more than a few seconds of your time. The more people that participate, the more actionable and valuable the feedback will be to the school. We are trying out a simple new approach to get your feedback about TIS. The “Referral Rating” is designed to be a simple and easy way for you to let us know how you feel about our school. 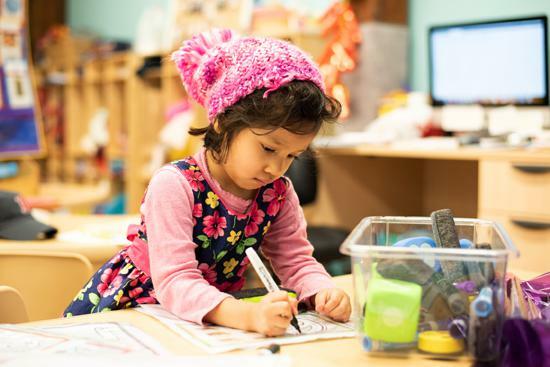 We would like to reassure you that this approach is additional to our normal channels of feedback, including the upcoming Annual Parent Survey. We encourage you to continue to give us direct feedback (positive and negative) as and when it is merited. Parent Teacher Conferences will be held on February 1st and the afternoon of February 5th. Just like this past Fall, we are having conferences BEFORE report cards are released. 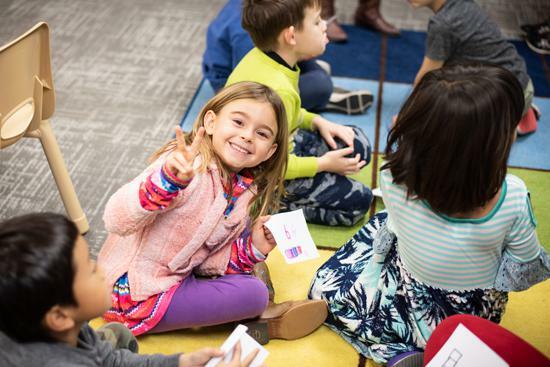 These conferences are for Homeroom Teachers and Art, Music, & PE Specialists. Winter conferences with English Specialists are initially by invitation-only. The English Specialists will contact you directly if they would like to talk to you about your child’s progress. We will then open them up for general signups a week prior to the conference dates. – Check off the names of all the teachers that you want conferences with for all your TIS students. – Tell the system that these conferences are for different students – next screen will ask which conference is for which child. – The system will send a link to your e-mail. Check your email, click on the link. – The system will give you side-by-side availability for all the teachers you selected – just click the conferences that you want! – Then it will send you a confirmation for all the conferences you signed up for. 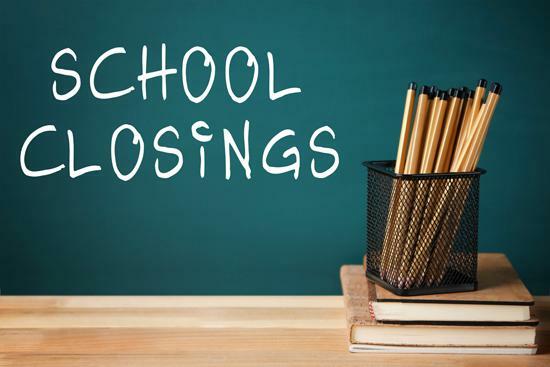 Global Kids: Open No School Days & Spring Break! 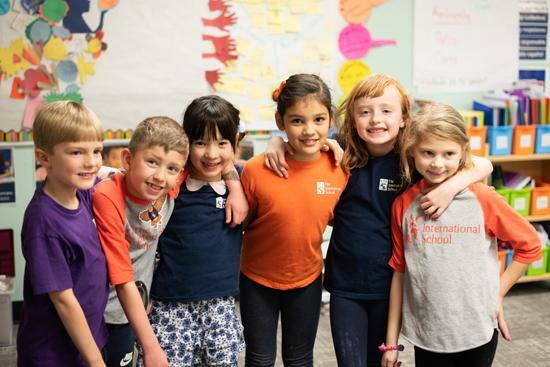 Are your students enrolled in Global Kids for the upcoming Alternative Schedule dates? Summer Camp: Registration Opens to TIS families on January 25th! Summer Camp planning is already underway! Join us this summer as we explore language through songs, hands-on projects, outdoor adventures and more! From January 25th – January 31st, only currently enrolled TIS families will be able to register. The early registration password (not available to the public) will be emailed to all currently enrolled families on Friday, January 25th. Camp groups fill up quickly, so mark your calendars, and register early! Questions? Read about the camp day, camp groups, and other camp details at intlschool.org/summer. 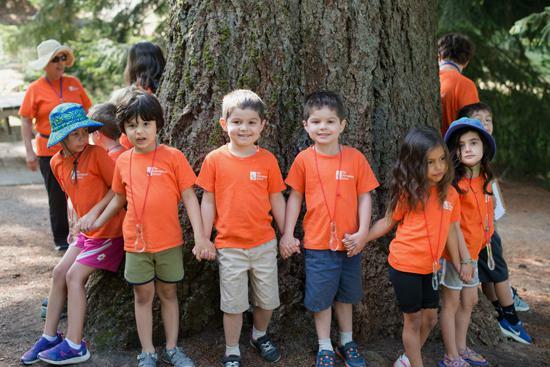 Feel free to contact the Summer Camp team at summer@intlschool.org. Community Service Day at TIS! Please join us for our next TIS Community Service Day on Tuesday, January 22. We will be making Valentines for the children that live at the Providence Center for Medically Fragile Children. Come anytime between 9am and 2pm – stay as long as you would like! Please RSVP Here We are looking forward to seeing you! The TIS Parent Network has a full list of fun events planned for the next few months! We are looking for parent volunteers to take the lead or help out with each of them. Each event has a set date and number of volunteers requested. Many require just a few hours of total time! Please click here to take a look at the list and sign up! Our annual Global Gala is right around the corner and there are only 12 days left before ticket sales close! This year’s event will feature a silent auction and cocktail reception featuring our Chinese track, a live auction and dinner highlighting the Spanish track, and an after party starring our Japanese track – anime, Japanese snacks, photo ops and J-Pop! 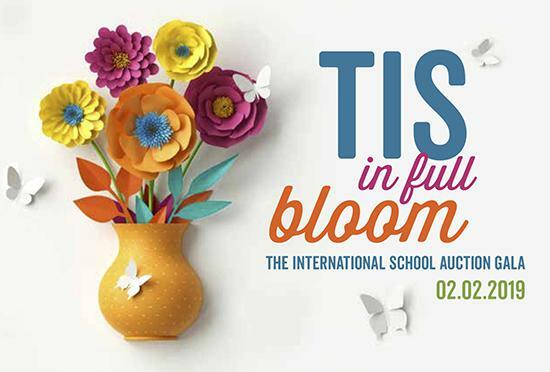 Tickets for TIS In Full Bloom: The 2019 Global Gala can be purchased here. Tickets will only be available through January 25 so don’t delay! We could still use some volunteers for the night of the event. If you would like to help out at the Gala, please contact Rebecca Roberts at rebeccar@intlschool.org. We have added some of our auction packages in an online catalog which can be found here – Just click on the Catalog button! You can have a sneak peek at some of the fabulous items that will be up for grabs on the night of the gala. SCHOOL CLOSED. Martin Luther King, Jr Day. Global Kids CLOSED. NO SCHOOL FOR STUDENTS. Teacher In Service Day. Global Kids OPEN. TIS Community Service Day. 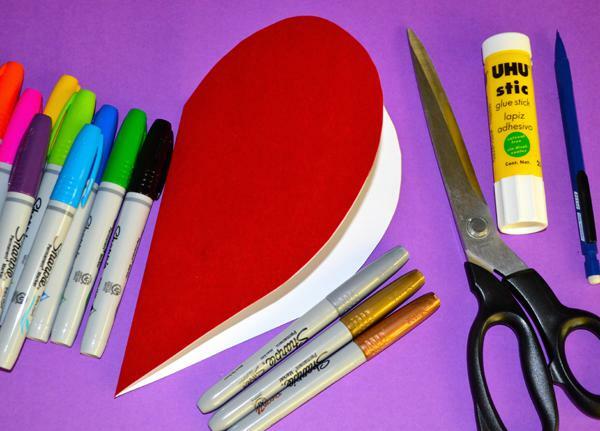 We will be making Valentine’s for the children that live at the Providence Center for Medically Fragile Children. Come anytime between 9am and 2pm – stay as long as you would like! All ages welcome! Arthur Administration Building Conference Room. Please note that children must be chaperoned. Summer Camp Registration Opens! Registration will open exclusively for current TIS families today. Save the Date! Please join us as we celebrate the Japanese New Year and share TIS’ Japanese culture and community! Mochitsuki is Portland’s annual Japanese New Year celebration and has been a premiere event in the local community since 1996. The goal of Mochitsuki is to celebrate tradition by sharing Japanese and Japanese American culture. TIS will be represented there with a booth there, where we provide information about the school and offer Fukuwarai, a “make a face” game that is common to New Year celebrations, as well as Shoji (Japanese chess) and other games. This year’s Mochitsuki will be held on Sunday, January 27 from 11am-4pm.